She's fallen for his greatest role. But can she fall for him? Former soap star Tom Calvert dreams of making movies that matter. To get the part of a lifetime he becomes a method actor, living as Beau Tennant, a war hero with a disabling injury. While in character he meets Maree Reynard, a costume designer, and takes her on a date. But when this practice date becomes all too real he realizes that he's made the mistake of a lifetime. Will he be able to get Maree to fall in love with Tom Calvert? Maree Reynard's father is an actor and she has grown up on a studio lot. She has no illusions about the artifice of the movie-making business and has vowed she would never date an actor. When she meets and falls in love with Beau Tennant she knows that she's found her dream man who is genuine and real. But when Beau disappears from her life she is heartbroken. She meets Tom Calvert on the rebound and sees their flirtation as a way of recovering her shattered confidence. Will Tom Calvert be able to convince her he is the real deal? When Maree and Beau meet, their connection is instantaneous. Maree is sick of fake Hollywood actors, but Beau is honest and true. Except he’s not. His name is actually Tom Calvert, and far from being the ex-soldier Maree believes, Tom is one of those actors she most despises. Despite the lies and deception, Tom believes his connection with Maree is real, and determines to win her over without his Beau-persona. This novel has a bit of everything – romance, comedy, drama and suspense. I felt a little iffy about the romance and drama aspects. On the one hand, you can really feel the connection between Maree and Tom throughout, and you can’t help but root for them. However, Tom is lying to Maree for pretty much the entire novel. I really like the premise, the actor who falls in love within a role and then attempts to woo his heroine as himself, and of course, this premise requires a lot of lying from our hero. But the element of deception did drag on a little bit too long for me and required quite a suspension of disbelief – not only because Maree apparently can’t recognise a man she’s slept with, but also because of a later convenient moment of amnesia once she finally finds out. It was just a little farfetched. However! A little implausibility of plot is hardly enough to put me off a romance if the characters and plot are interesting enough, and I really did become invested in Maree and Beau and Tom’s story. More than that, the first chapter is such a great hook, I can’t imagine many people could start this book and then easily put it down. I admit that I struggled somewhat with the excessive recounting of events after each point of view change (for example, Maree going over events that we’ve already experienced from Tom’s perspective), but again, it wasn’t enough to put me off the story as a whole. The comedy element is fun, if not totally laugh out loud, and I liked the little sweet/funny moments such as when they watch reality TV over the phone together. These were some of the more real and endearing parts of this rather fantastical story. The suspense side of Hollywood Dreams took me a little by surprise, but in a good way. I didn’t see it coming and I did not anticipate the outcome – which is pretty unusual and it kept me hanging out to discover the identity of Tom’s stalker right til the end. Mae Archer weaves the suspense into the rest of the plot really well, and oddly enough the crazed stalker storyline is one of the more convincing aspects of the novel. While there were a few elements that didn’t win me over in this novel, it has a great hook and a well placed suspense sub-plot that makes it an easy and ultimately pretty fun read. 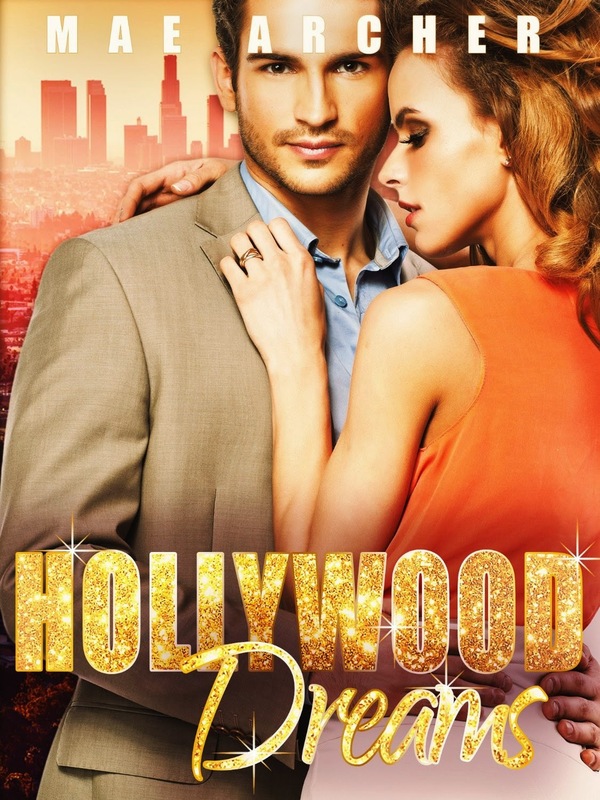 Hollywood Dreams by Mae Archer is a contemporary romance released by Momentum on July 24 2014, and is available from Amazon and the Publisher.